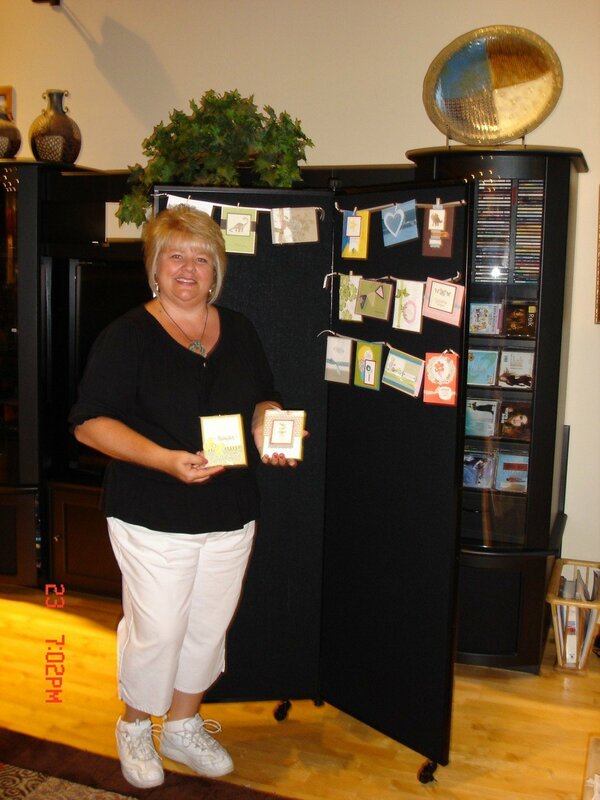 Uses: Art Display, Bulletin Board Colors: Black Lengths: DT 3 Panel Display Tower Heights: 5'-9"
This Stampin Up consultant hangs her cards on a Screenflex art display tower for presentations and lessons. The tower is easily rolled into each facility and locks into place. The Stampin Up cards are clipped onto the fabric surface with tacks so clients can easily remove the cards to review and simply tack them back up. She said she finds it adds a professional polish to her Stampin Up business.